Good news for golfers who have conquered the world! The galaxy awaits in this beautiful 3D mini-golf game. Stunning 3D visuals, directional sound, and amazing soundtracks enhance your trek across the strange and original worlds within the Golf Adventure Galaxy. 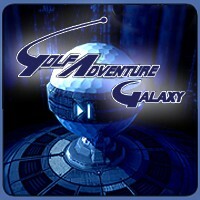 venture where no golfer has gone before! query: INSERT INTO accesslog (title, path, url, hostname, uid, timestamp) values('Golf Adventure Galaxy', 'node/389', '', '3.80.224.52', 0, 1556143355) in /home/surelion/public_html/drupal-4.6/includes/database.mysql.inc on line 66.